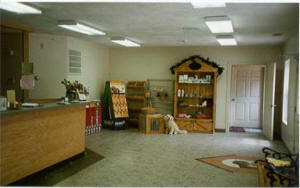 The Doggie Palace features well lit, spacious suites that have exercise runs in an enclosed area with sliding windows. The many windows allow for lots of sunlight during the day with radiantly-heated floors in the colder months and air conditioning in the warmer ones. the kennel has been designed for your pets comfort. Equipped with security and fire alarm systems with the owner and managers living on the property, the kennel ensures your pet's safety. Patio Enclosures Our spacious, private indoor/outdoor enclosures have soft bedding changed daily (or as needed) and provide ample room for exercise. Delmyra enclosures are double gated to separate pets while the runs are being cleaned. Fresh water is available 24 hours a day and soothing music is softly playing in the background of the kennel to make your dog's stay seem like home. A daily report is kept on each pet monitoring your dog's health, activity, attitude, food intake, medication administered, and waste. Our facility is climate controlled year round. We charge by the day. Check-in and Check-out is any time during our hours from 9am to 5:45pm except on Sunday, Wednesday and all major holidays. When picking up if you have scheduled grooming on the day you pick up, you must call first to make sure your pet is ready; call after 1:00 p.m. Remember to claim all your pets belongings. When your pet arrives home, let them settle in and relax, before you offer them water. They will be glad to see you. Charges are figured by the day. (Day in thru day out). Things to Remember When dropping off please have your pet wait outside while you check in. 2. Mark all belongings brought in with the pet. 3. Pets Luggage - If you bring their food, have the container marked with name & feed directions. 7. Name & number of Person Picking Up We will not release a pet to anyone other than the owner, unless approved at time of drop off and only to the person and date so designated by the owner at the time of drop off. Vaccinations are required for the protection of your own pet's health and the health of other boarding pets. If your pet's vaccinations are not current, arrangements can be made to have these vaccinations administered and you will be responsible for any charges incurred, plus a service charge for transportation to the veterinarian. Bring your receipt or the vaccination record that is provided by your veterinarian. When you have your pet's vaccinations updated, be sure to bring the new record with you next time you board with us. If you have any questions about attaining vaccination records, just call your veterinarian or Delmyra staff we will be happy to help you. 15 minute sessions for $6 ea. Day Boarding is also offered during our normal business hours. Premium Pet Food Diet is included in the boarding fees. You are certainly welcome to bring your own diet to maintain consistence with your home environment, please make sure it is in sealed, safe, containers, with your pet's name and their feeding instructions on the container. You do not have to bring bowls, or measuring cups. 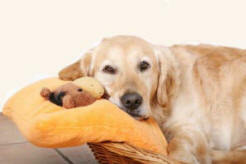 For your pet's safety only bring toys and beddings that will be safe. 1st Visit Introductory Night's Stay FREE Stress Buster Offer. By bringing in your pet for one free weekday night before your trip, you let him, her or them see how much fun we have with our "guests" and your pet will also realize that staying at Delmyra Country Club is a fun-filled way to spend one's time away from home. Most importantly, they see that they get to go back home, and that's very important. Like a child at camp, pets have a ball at Delmyra Country Club but also love their reunions with the family when they're picked up. The FREE introductory night also puts the pet owner at ease and relieves a great deal, if not all, of the anxiety that first time boarders might experience. Bonus! Free Playtime: If you indicate you saw this offer on the Delmyra Country Club Web Site we will provide your pet with a free playtime during the introductory night with us.